Bouldering outdoors on rock is very different from bouldering indoors at the climbing wall and this can come as a shock to some beginners. 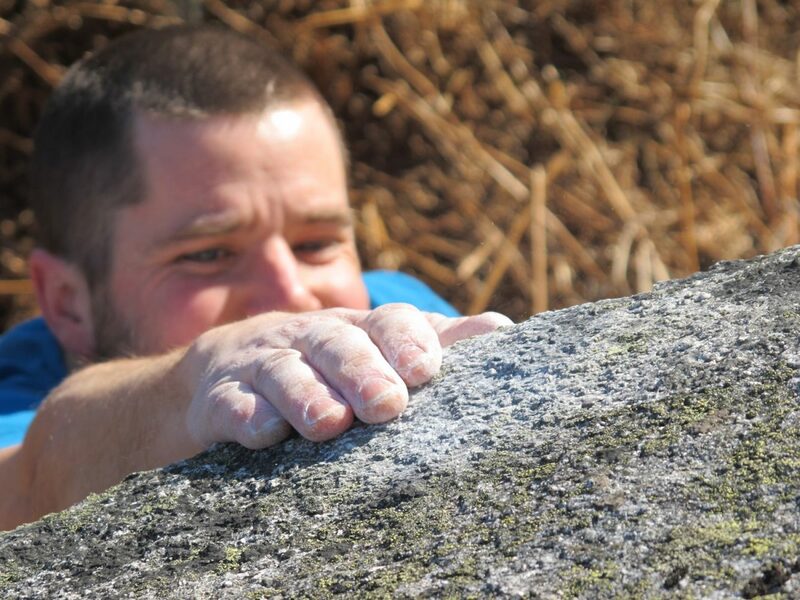 This article gives some advice to climbers who are have done some bouldering indoors but are keen to get outside and find out what bouldering is really all about. Be prepared to struggle on your first few visits outdoors, it isn’t realistic to expect to immediately be able to climb at the same standard as you do indoors. 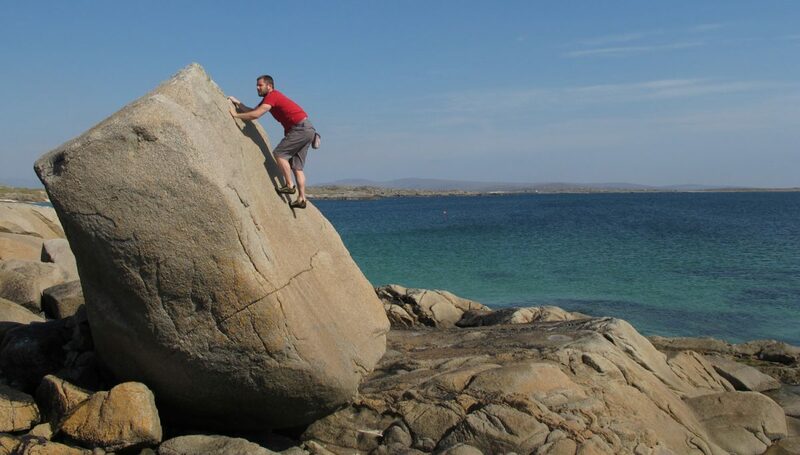 Discover outdoor bouldering on your own terms, climb whatever you like the look of and don’t worry whether it’s an ‘established’ problem or if you are doing it the ‘right’ way. Initially seek out areas that have plenty of low, easy problems with good landings. 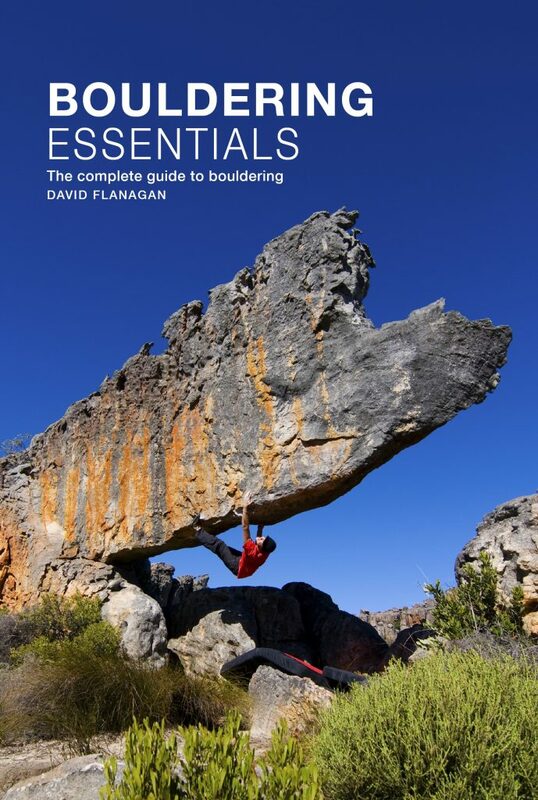 Consult the guidebook, ask around at the wall or post in the bouldering forum on UKC. Start on the easiest problems and work your way up through the grades, enjoying the movement and getting a feel for the rock and the style of climbing. Spotting is guiding a falling climber safely to the ground. It isn’t really that necessary indoors as the padding is so good but it’s an essential part of bouldering outdoors. Spotting should be taken as seriously and done with just as much care and attention as belaying. A good spotter gives the climber the confidence to focus 100% on the moves. The primary goal of spotting is to protect the climber’s head from an impact. The spotter isn’t expected to catch the falling climber in their arms, only to guide them onto the pads, break their fall and ensure they land upright and in balance. When spotting use a wide, firm stance with your hands reaching towards the climber’s midriff. Stand a few feet beyond the point where you expect the climber’s feet to hit the ground. Focus your attention on the area just above the hips rather than watching the hands or feet and don’t get distracted pointing out holds or studying the moves. Once the falling climber reaches your outstretched arms, guide them to the pad and away from any hazards. Remember to keep a firm grip on them until they have regained their balance. It’s impossible to push your limits without falling off, so learning the proper falling technique is critical. sideways onto the pad with your knees, hips then shoulders. It’s a little undignified but a lot better than a broken ankle. Most boulders have straightforward descents, but there are exceptions so it’s worth doing a quick reconnaissance of the down-climb before you set off up a boulder for the first time. While you are on top of the boulder you can check out the finishing moves and clean the holds if necessary. 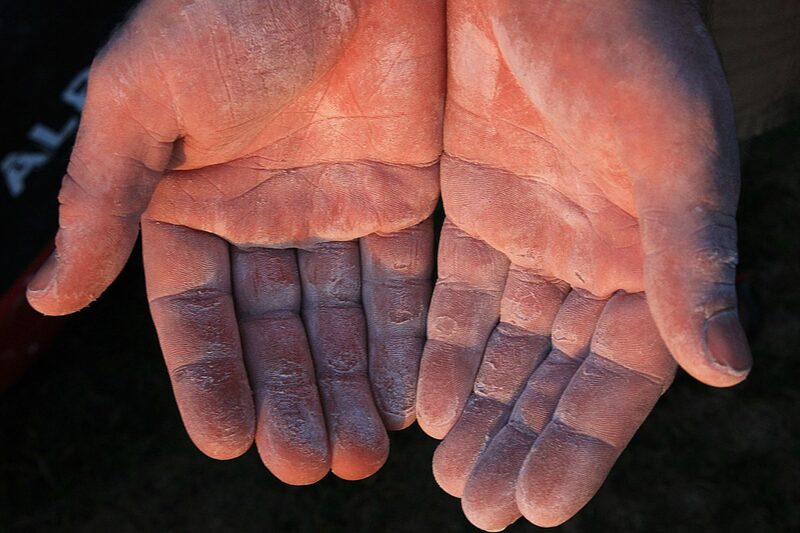 Bouldering on rough rock is very hard on the skin of the hands, especially the fingertips. Not only is it very uncomfortable when your tips get pink and tender, but they won’t grip as well, especially on small or slopey holds. Ideally, the skin on our tips should be smooth – with no points of weakness where tears can start – thick – to make pulling on rough rock and sharp holds more comfortable – and supple – so that it conforms to the tiny indentations in the rock. Climbing on big holds can give you large callouses which, as well as being uncomfortable, can cause flappers. A flapper is when you rip a large chunk of skin off, usually during a dynamic move. If you are unlucky enough to get one, wash it, press the flap of skin back in place and tape around it so you can continue climbing. Keep callouses in check by regularly filing them down with a pumice stone or fine sandpaper. Chalk can dry the skin out so it’s vital to keep your skin moisturised as dry skin is much more likely to split and tear. Regularly apply hand cream or balm, look for one that will encourage the the growth of new skin as well as moisturise (Climb On and Palmer’s Cocoa Butter are excellent). The ideal conditions for bouldering are cold, dry weather, this is when the friction between your hands and shoes and the rock is at it’s best. Beginners underestimate the difference good conditions can make and it’s not an exaggeration to say that bouldering in good conditions is equivalent to cycling with the wind at your back.. Understanding friction, knowing what constitutes good conditions and taking advantage of them can make the difference between success and failure. Check out this article which explains a little of the science behind friction. You may hear experienced boulderers talking about their projects or see them out at the boulders, where, after a quick warm up, they spend their entire session trying one move. This approach, while worthy and the only way to climb problems that are at your absolute limit, isn’t a good way to learn technique. Beginners need mileage, they need to try lots of different moves and broaden their movement vocabulary. At least for the first few months of your climbing career a good rule of thumb would be to move on after a few failed attempts on a problem. A lot of beginners neglect their feet to concentrate on what their hands are doing. Needless to say this is a mistake, you can never put too much thought and effort into your footwork. Footwork should be deliberate, neat and quiet. Use the toe rather than the arch of your shoe, place your feet carefully, trying to keep them still as you transfer weight onto them. 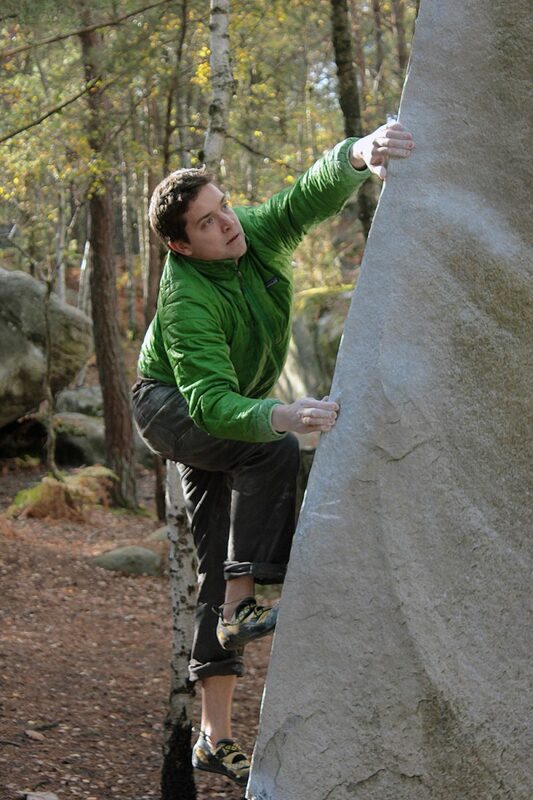 The best way to improve your footwork is to put in some time bouldering on slabs, especially outdoors. Choose low problems with good landings where you don’t have to worry about falling. Attempting easier problems without using your hands will teach you a lot about balance and trusting your feet on marginal holds. 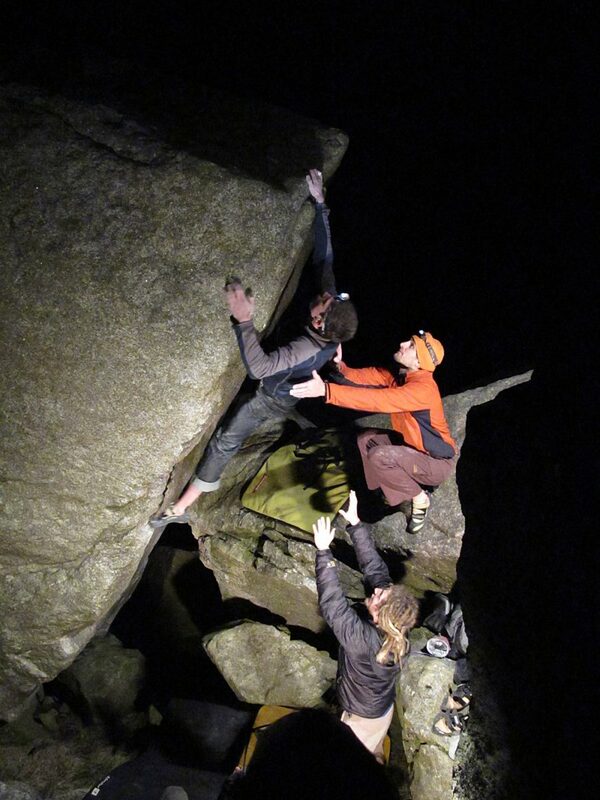 The ever increasing numbers of climbers has put a lot of pressure on the UK’s most popular bouldering areas. There may also be a lack of awareness among some of newcomers to bouldering about the role they have to play in protecting the rock and minimising their impact on it. And while bouldering is an activity without any formal rules or regulations, there is one maxim that all climbers agree on – respect the rock. Never chip or alter holds in any way. If you can’t climb a problem as it stands train harder or leave it for someone better. Never use a wire brush to clean holds, a stiff plastic bristled brush is sufficient. Avoid excessive damage of vegetation when cleaning new problems. 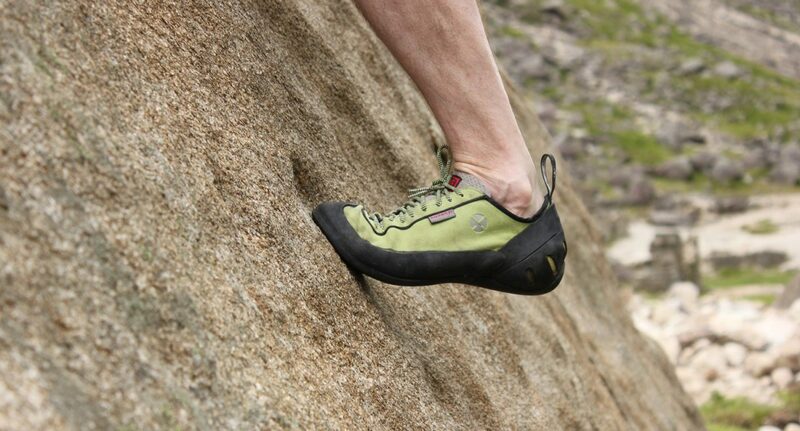 Pof, a dried pine resin that increases friction, is used by a minority of climbers in Fontainebleau, but pof should never be used outside of Fontainebleau (if at all), as it polishes the rock, making the holds very slippery. Make sure your shoes are clean and dry. Dirty shoes erode the rock significantly faster than clean ones. Indoors you jump or down-climb from the final holds of each problem, but at most outdoor bouldering areas a problem isn’t considered finished until you are standing on top of the boulder or cliff. This process of getting established on the top of a problem is known as topping out. Certain rock types, particularly granite and sandstone, tend to have featureless, rounded tops. This can mean that even if the final moves of the problem aren’t technically the crux, it can feel that way thanks to the height and the fact that you are tired when you get there. With top-outs there is no substitute for good technique so get plenty practise on lower problems before testing yourself on higher ones. This is especially important for climbers who don’t have much experience of bouldering outdoor as even relatively easy top-outs can feel strenuous, insecure and scary if your technique is lacking.